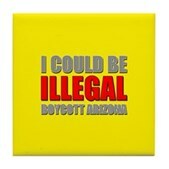 Arizona's immigration law SB1070 gives officers unprecedented authority to investigate anyone they please for trespassing. 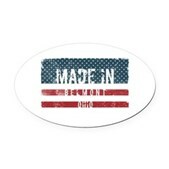 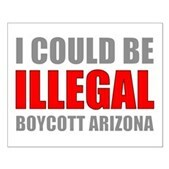 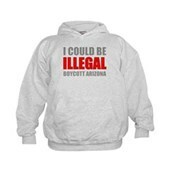 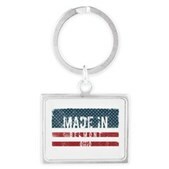 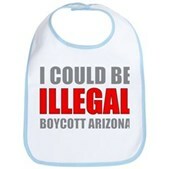 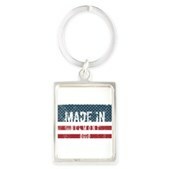 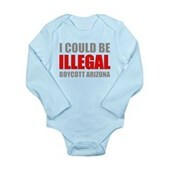 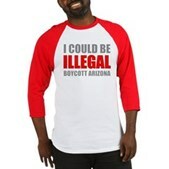 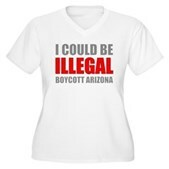 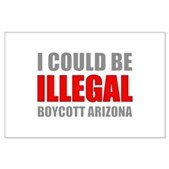 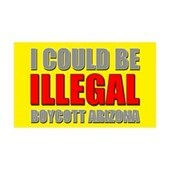 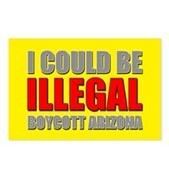 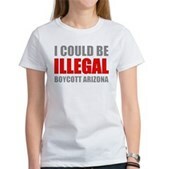 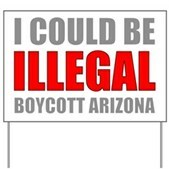 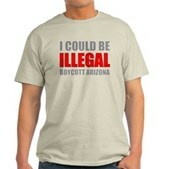 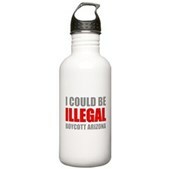 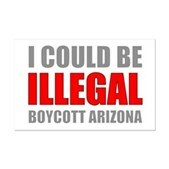 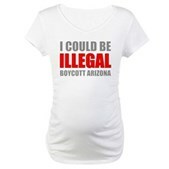 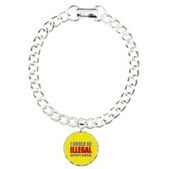 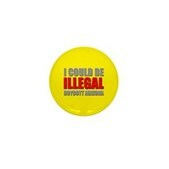 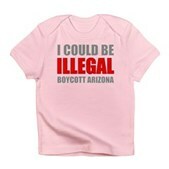 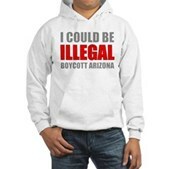 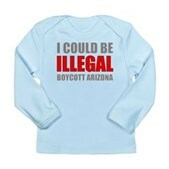 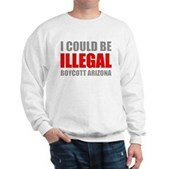 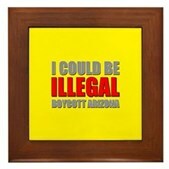 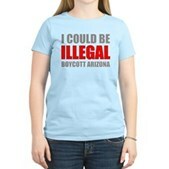 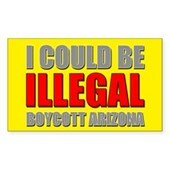 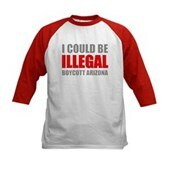 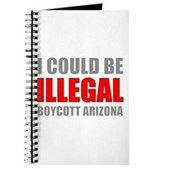 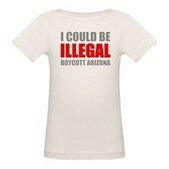 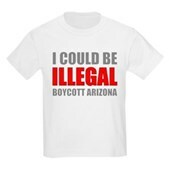 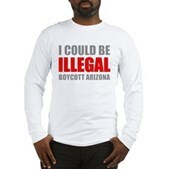 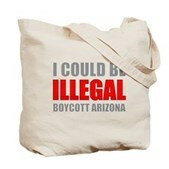 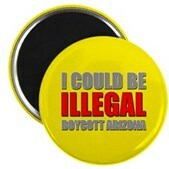 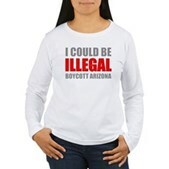 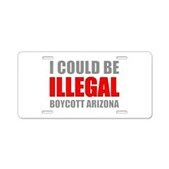 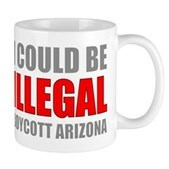 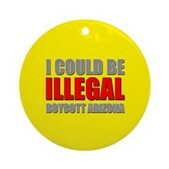 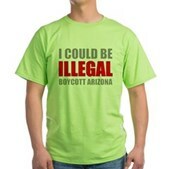 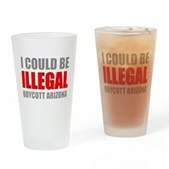 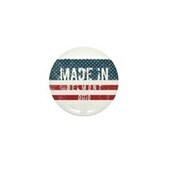 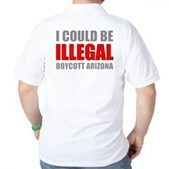 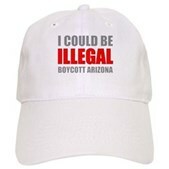 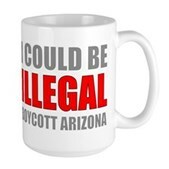 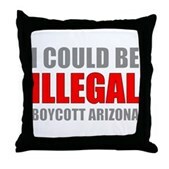 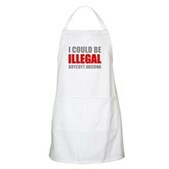 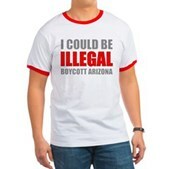 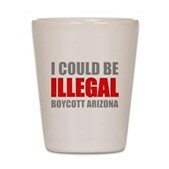 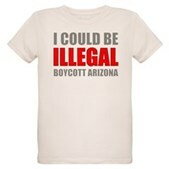 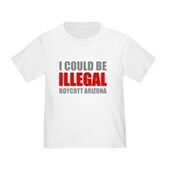 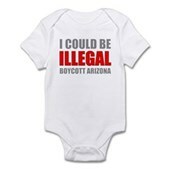 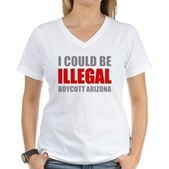 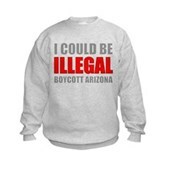 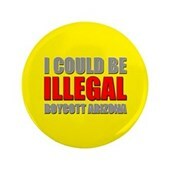 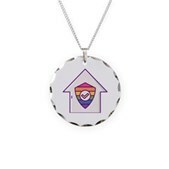 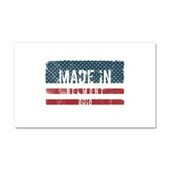 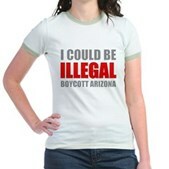 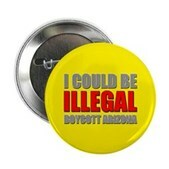 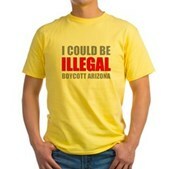 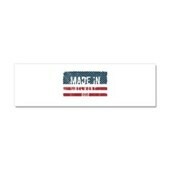 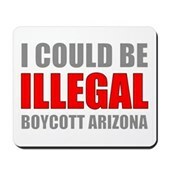 Proclaim your own intolerance for discrimination and racial profiling by sporting I COULD BE ILLEGAL | BOYCOTT ARIZONA t-shirts, buttons or other swag. 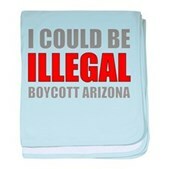 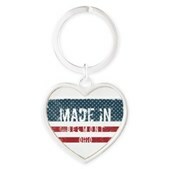 Especially appropriate for residents of Arizona!